The health and appearance of your smile is extremely important – not only for your dental function and daily interactions with others, but for your personal self-esteem and confidence. So, if you require a dental filling to seal a cavity that has been caused by decay, Northway Dental Practice offers white fillings to blend into your teeth and to ensure your smile remains unaffected. Made from white ceramic or composite resin, white fillings can either be pre-built by our laboratory or, in some cases, can be fashioned directly onto your tooth by the dentist for immediate treatment. Our team will provide advice to help you avoid decay and our hygienists and dentists will thoroughly clean and polish your teeth. 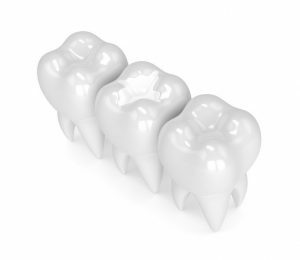 Unfortunately, sometimes fillings are still necessary to strengthen a weakened tooth. White fillings give the added protection and strength required, without affecting the appearance of your teeth. By maintaining a thorough home care routine and a healthy diet, you can reduce your chances of requiring a filling. We advise brushing at least twice a day to remove bacteria and plaque from the tooth’s surface and reducing the frequency of your sugar consumption. Additionally, by making six-monthly hygienist appointments, your teeth will be deep cleaned to remove bacteria and plaque as well as tartar.